1.1.7 Step 6: Play Some Multiworld! 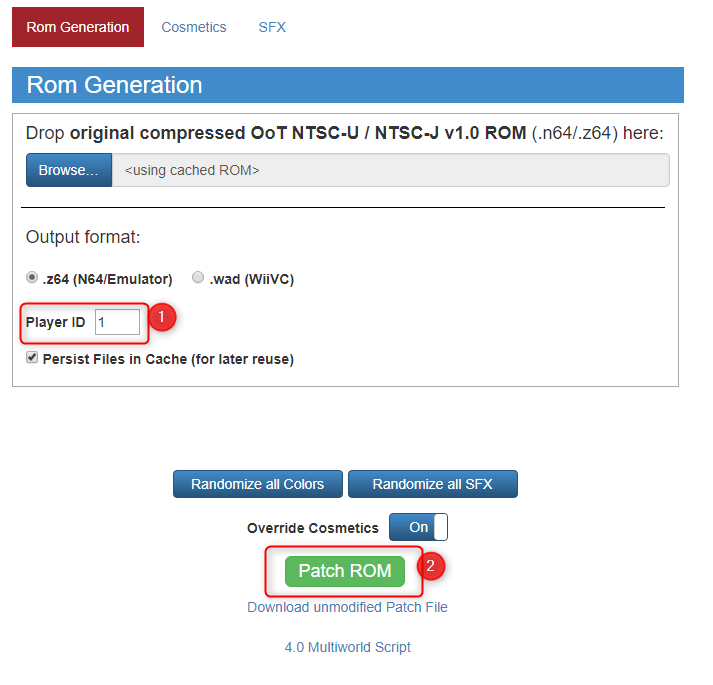 This guide is intended for use with the Randomizer version 4.0. Start off by going to the Webpatcher and set up the settings you want for the seed. On the `Rom Options` tab change the `World Count` to however many people will be playing. Once you're done, generate the seed. Share this Page with all players participating. Now, discuss among yourselves who will be which player number. For example, the host would be player 1, and the others would be players 2 onwards. Now, everyone can open the page, select their rom/wad, change the `Player ID` section to whatever player number you are, set up your cosmetics, then patch the ROM. Each player should have their own Randomizer ROM, with the formula `OoT_SeedID_SettingsHash_W0P0` with the W0 and P0 being world count and player ID respectively. Multiworld is playable only on Bizhawk. This guide will help you through the custom install needed to set up Bizhawk to run Multiworld. The very first thing that you must do is download the Multiworld script from TestRunner's GitHub page. When you download this, extract its contents to its own folder - it will be creating a new Bizhawk install for you to use, so you must keep it separate. Note: Whenever there is an update to the Multiworld script, everybody playing must update to the latest version. Once you have the contents extracted to its own folder, locate the bizhawk-co-op.ps1 file. Right Click and select Run with PowerShell. If Powershell prompts you for permissions, say yes to all. From here, the Powershell is getting you 99% of the way done: it will create a new Bizhawk 2.3 install and place everything for you. Once Powershell is done, open up the Bizhawk 2.3 folder it created and launch EmuHawk.exe. Note: It is recommended you delete everything outside of the Bizhawk 2.3 folder that was created. These files are no longer needed and only add confusion. In the General tab of the Customize menu, check the box to enable Accept background input – this will allow Bizhawk to keep accepting controller inputs when you tab over to your tracker or notes. Clear your hotkeys by going to Config -> Hotkeys, and at the bottom click Misc and Clear All. You'll then have to bind your analog stick in the Analog tab of your controller config and adjust your sensitivity and deadzones to your preference. Additional info on controller setup can be found in Step 6 of the Bizhawk Guide. 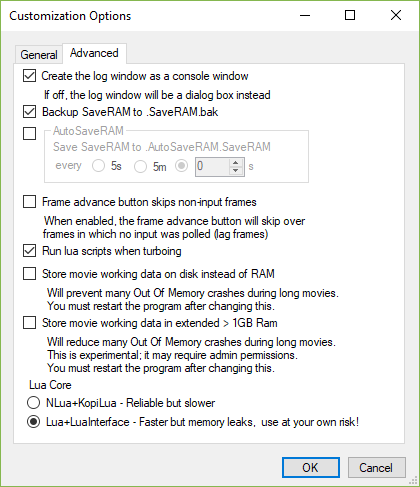 Once you have your emulator set up to run how you are comfortable with, its time to move to the Lua console. Go to Tools -> Lua Console, and a separate window will open up. This window must remain open at all times during a Multiworld. 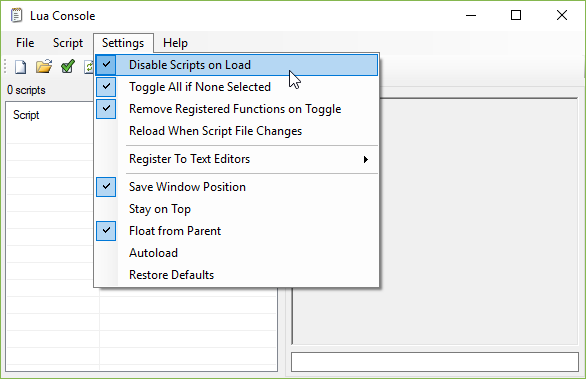 In the Lua Console, go to Settings and checkmark the Disable Scripts on loads. This is the last of the settings changes you have to do. If you want Bizhawk to retain these settings changes for the next time, go to Config -> Save Config. Once you have these steps done, you MUST close your emulator and reopen it for this change to take effect. Close out of Bizhawk, and then reopen it and the Lua Console. If for some reason you do not have your Multiworld ROM open, you must do so now. From here in the Lua Console, Open Script and locate the bizhawk co-op.lua file in the Bizhawk 2.3 folder. Once you have that done, a red square will appear in the console; double click it and a new window will open up. This window must also stay open at all times. 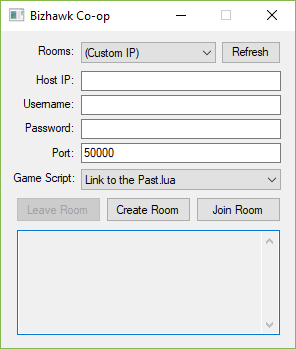 The Lua Console Script is where you set up a room and join rooms. If you are Joining and the Host has set up the room: hit Refresh in the Bizhawk Co-op window and select the Host's Room from the dropdown bar. When you input your username, keep in mind the game will use this to display who got what item for everyone playing. It will max out at 8 characters, even if you input more. Fill in the password and port number the Host gave you and select the Ocarina of Time Game Script and hit Join Room. Step 6: Play Some Multiworld! Go and have fun with new or old friends! If you are part of the Ocarina of Time Randomizer Discord, you can assign the Multiworld role to yourself by going to the #chat-bot channel (under Misc) and typing !role Multiworld - this will allow you to receive pings in the server where there are announcements from the Devs or folks are looking for players. You can also visit #multiworld-planning (under Races) to look for additional players. It is highly recommended that you use a Tracker so that you don't accidentally leave those new friends out to dry if you miss a check. Additional info about Trackers can be found here. Map Trackers such as 2deep4real's Web Tracker or Hamsda's Map and Item Tracker package for EmoTracker are highly recommended. This will be helpful to those who can not run PowerShell for some reason. First download, extract, and run the Bizhawk prerequisite found here. (Yes, this step is absolutely required.) Next, download the following zip file and extract it to its own folder. This will contain an archived version of the co-op build from 12/27/18. https://www.dropbox.com/s/t9ia81ao993rhtv/BizHawk-2.3.zip?dl=0 This archival copy will need to be updated a bit; you will need to download the latest build of co-op and replace the ram controller files in /bizhawk-co-op/ramcontroller/. The latest version of this file can be found at https://github.com/TestRunnerSRL/bizhawk-co-op/tree/master/bizhawk-co-op/ramcontroller. If nobody in your multiworld group can port-forward for whatever reason, and you cannot get someone who can to join, then there is a program you can use: Hamachi. Let me preface this by saying that Hamachi basically 'tricks' your computers to believe that you are all connected via LAN. To start, download Hamchi [here] and install it. Create an account, and go to System > Preferences > Settings to make sure that 'Encryption' is enabled. Then, click on the power button to go online. To join an existing network, click Network > Join an existing network. Type in your friend's network ID and the network's password. Once you're all connected in the network, you can start the multiworld. Then, start up the Bizhawk co-op lua script. Set 'Rooms' to '(Custom IP)' and paste the IPv4 into the 'Host IP' bar. Set your Username and Password as usual, and the game script to Ocarina of Time. Now you should be ready to start. As usual, if you have any more problems, seek advice within the OoTR Discord Server. Oh, and, be careful with who you give permission to join your network to. The Bizhawk co-op script available from GitHub is intended for use with Randomizer version 4.0. If a Multiworld seed was generated using 3.0, then all players must replace 2 files. 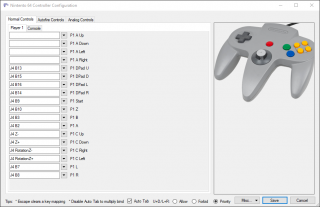 First, the file found at /bizhawk-co-op/ramcontroller/Ocarina of Time.lua with the 3.0-compatible version of the file available here: https://www.dropbox.com/s/odwjtm34827tyun/Ocarina%20of%20Time.lua?dl=0. Second, the file found at bizhawk-co-op/sync.lua with https://www.dropbox.com/s/woreg19wsjpspvl/sync.lua?dl=0. If Bizhawk is running when you replace these files, you must close and restart Bizhawk for it to use these legacy files.